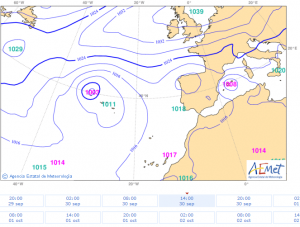 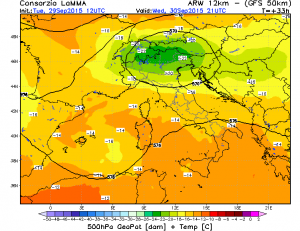 30/09/2015 A deep cyclone in the Western Mediterranean? 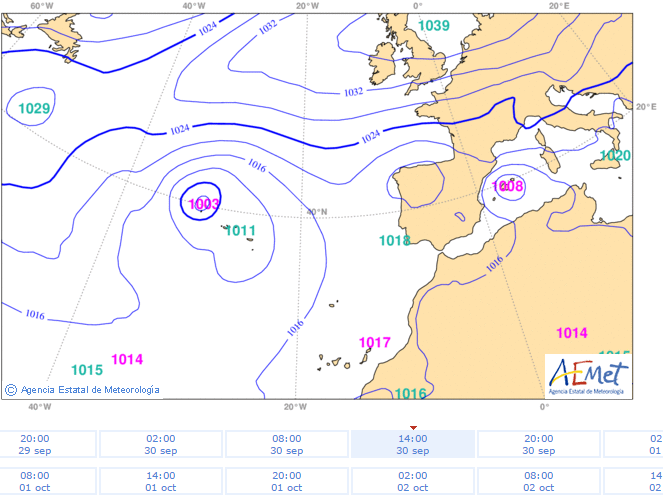 A cyclogenesis ocurring in the Western Mediterranean could develop a deep cyclone close to Balearic Islands during the next hours. 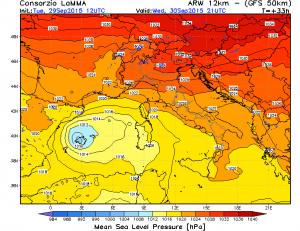 In fact, some meteorological models seem to develop some kind of tropical like cyclone (Medicane – Mediterranean Hurricane). 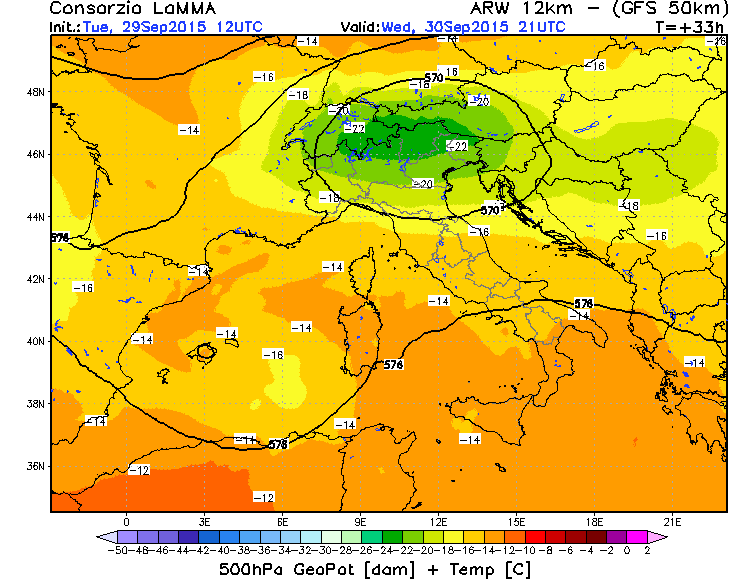 But with no evidences of warm core at 850hPa or 500hPa levels. 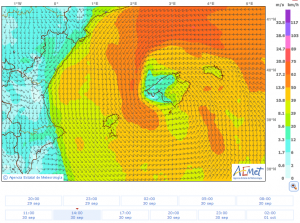 There are a lot of centers running WRF versions, and most of them clearly develop a deep cyclone, some of them showing tropical characteristics. 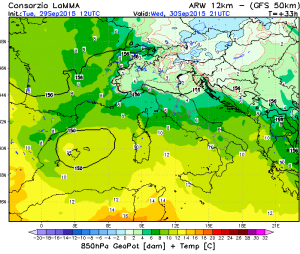 For example, WRF-ARW GFS of Lamma consortium (12km spatial resolution), shows a warm core at 850hpa for Wednesday evening in the northwest of Mallorca island. 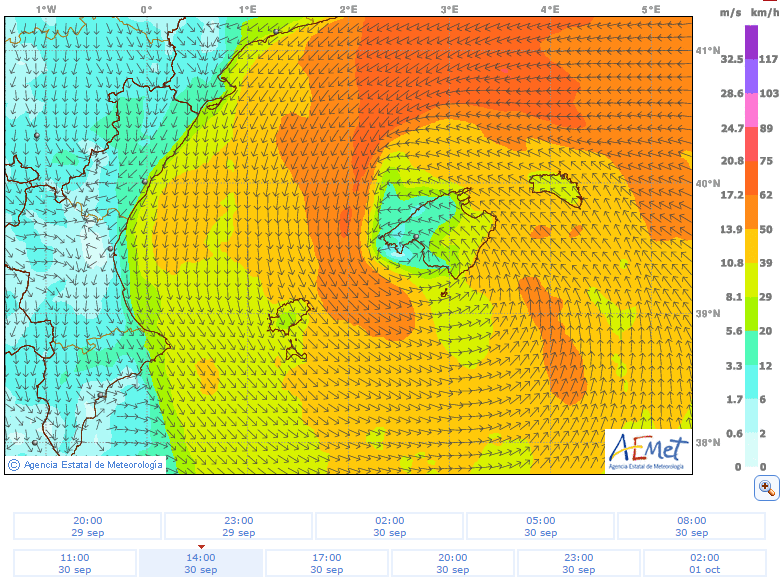 During the last years, some Medicanes were developed by WRF models as a consequence of artifacts in the model. 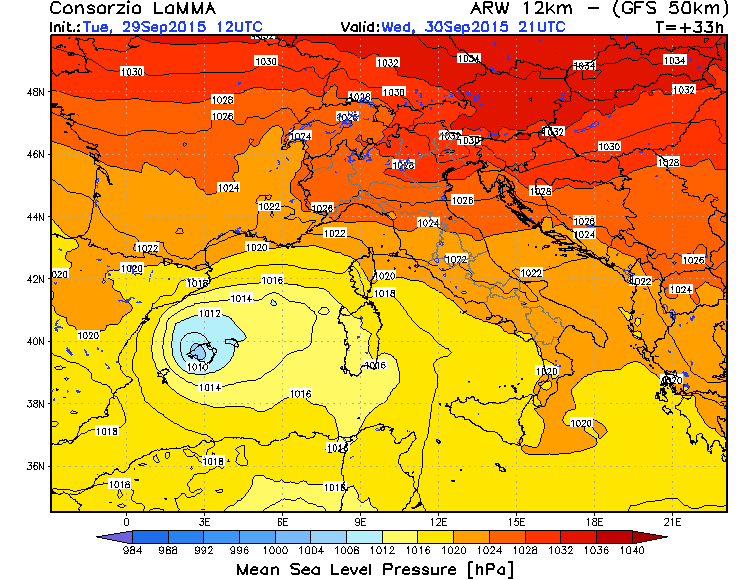 Because of that, we suspect that in this case, this deep cyclone could be, again, some kind of artifact. 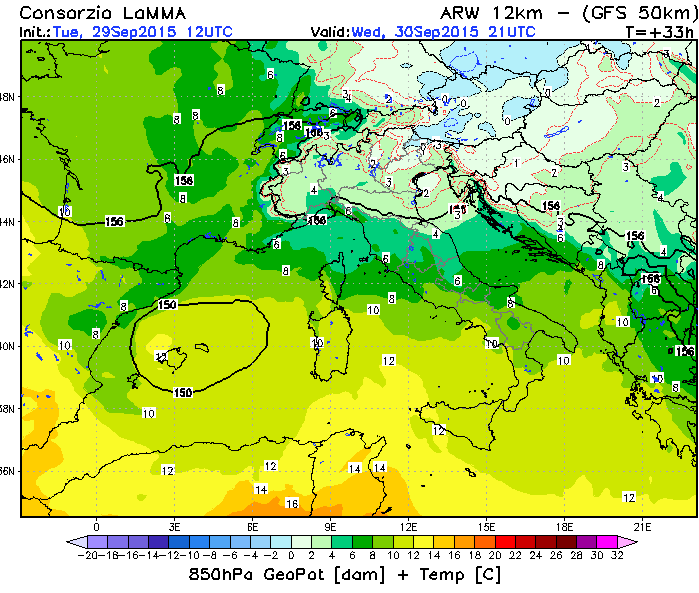 Let’s see what happens!